Oh, y’all thought that the original Ford Mustang GT from Bullitt was going to surge back into the public eye and not make an appearance at the Goodwood Festival of Speed? C’mon now. 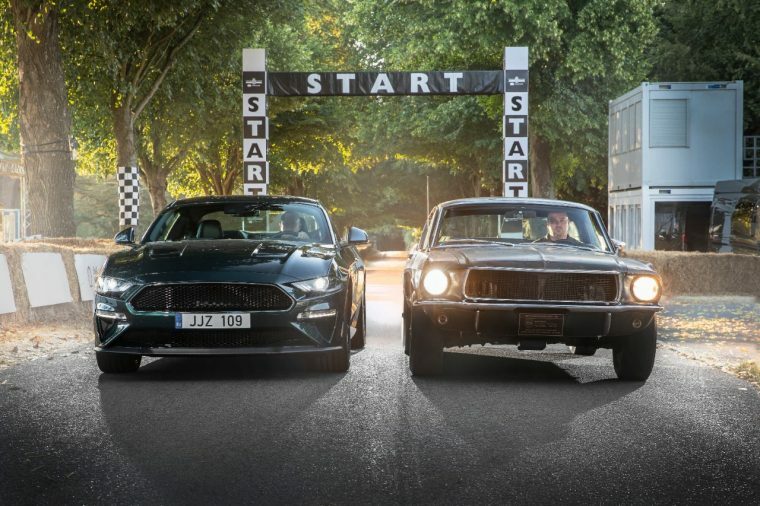 The 1968 Ford Mustang GT hero car from Bullitt, which reemerged at the Detroit Auto Show earlier this year after having been thought lost to time, joined its 2019 Mustang Bullitt counterpart this month at the 2018 Goodwood Festival of Speed in the United Kingdom. This marked the first time in the Mustang’s storied history that it has ventured outside of the United States. The original Mustang from Bullitt was joined at the FoS by the 2019 Ford Mustang Bullitt, the inheritor of the film’s 50-year legacy. The 2019 Mustang Bullitt boasts a 480-horsepower 5.0-liter V8 and several aesthetic touches inspired by the Mustang GT driven by McQueen in the film, including a Dark Highland Green exterior paint option and white cue ball shifter. Ford’s presence at this year’s Goodwood Festival of Speed was a substantial one, legendary film cars aside. The Eagle Squadron Mustang GT co-created by Vaughn Gittin Jr. made its debut appearance before heading to Oshkosh for EAA AirVenture, Ford Chip Ganassi Racing Team World Endurance Championship drivers Andy Priaulx and Harry Tincknell brought their Ford GT from Le Mans 24 Hours, and the M-Sport Ford Fiesta WRC made its world premiere on the Hillclimb and Forest Rally Stage.